6/03/2014 · It's at the end of one shoulder strap so when I wear a back carry and tie off tibetan, it's hanging right at my hip. That's my go-to tie off. In a front carry it would just be TUB, which would work well too. I love not bringing the diaper bag or my purse into the store!... 8/11/2011 · Notice the carrier is low on the baby's back, there is fabric bunched under baby's bottom. This will eventually pull on your shoulders and make you uncomfortable. 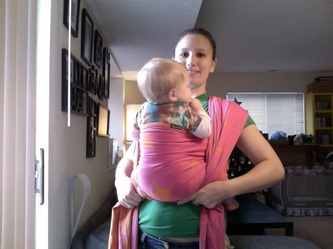 I’ve shared one way you can get a small baby high on your back using a woven wrap. 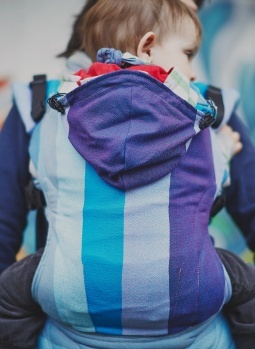 If you aren’t into wrapping, a meh dai is another great choice for newborn/small baby back carries (for other recommended newborn/young baby carriers, check out our guide).... Why shouldn’t I tie the straps behind my baby’s back? Good question! Many mei tai manuals will show this as an option. This can be problematic with young babies, because the pressure of the knot and straps on their spine moves their position out of the desired slight “C” shape. 6/03/2014 · It's at the end of one shoulder strap so when I wear a back carry and tie off tibetan, it's hanging right at my hip. That's my go-to tie off. In a front carry it would just be TUB, which would work well too. I love not bringing the diaper bag or my purse into the store! how to change language in chrome from hindi to english I’ve written before about using a meh dai as a way to back carry your young infant, but it occurs to me we skipped over the part where I tell you how to use a meh dai for a front carry – so let’s fix that! With the Babyhawk Mei Tai, you can carry your baby at the front, on your hip or on your back. Back and hip carries are fantastic for a nosey baby like mine who gets tired of looking at your chest. 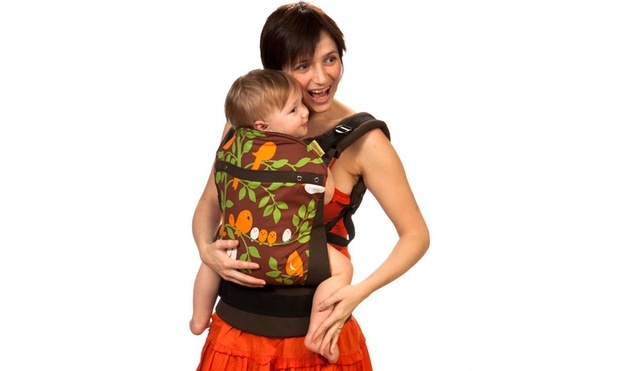 A back carry, especially, frees you up to do things made awkward by having a baby attached to your front! back carry mei tai baby carrier. Ensure the panel is at the rear and then tie the bottom two straps around your waist with the knot at the front. Unless you have someone to help you, you will now need to place baby in the correct position.